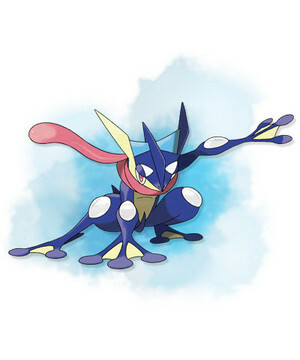 Pokemon X&Y: Greninja. Greninja evolves from Frogadier, and in so doing gains the Dark type. Elusive as a ninja, this Pokémon throws opponents into disarray with its high-speed movements.. Wallpaper and background images in the Pokémon club tagged: photo pokemon x y.